The newest Sabrina the Teenage Witch adaptation has been on our minds lately, because we can’t wait. 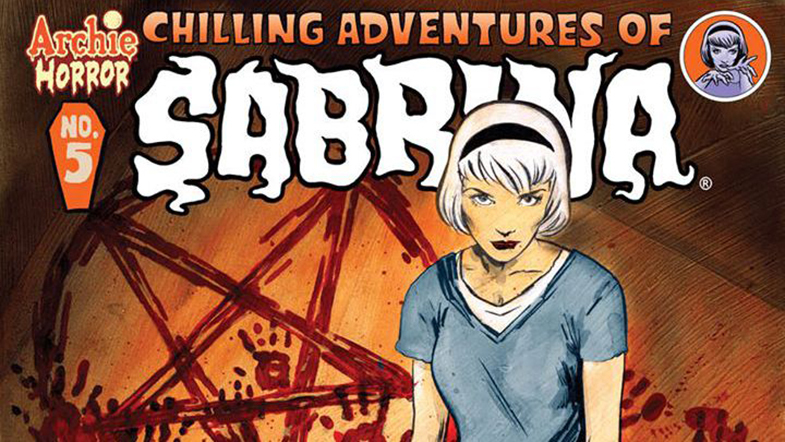 We’ve previously reported on the casting of Aunt Hilda, Aunt Zelda, Harvey, and Salem the Cat, but according to Roberto Anguirre Sacasa, the creator of Riverdale, the name we thought was official wasn’t – until now. I’m not going to lie, I didn’t know that wasn’t already the official title. It’s the official title of the comic books after all, and we’ve been reporting on it as if it were, because what else could it have been? Regardless, we’re so excited for this new reboot, especially because Riverdale has been an incredible hit, because who isn’t a fan of Archie comics, and because we’ll never say no to favorite characters from literature (or comics) hitting the silver screen. Featured Image Via Archie Comics.